Howard Partridge, Phenomenal Products, Inc.
Just a note to say thanks for all the wisdom you shared at the SFS class in St. Louis back in Sept. I’ve used your hard-earned knowledge to achieve my best quarter yet. Also, I’ve purchased my first truck mount, secured a lucrative and mutually beneficial relationship with a prominent local flooring distributor AND my Scotchgard sales have gone through the roof! Thanks again. Steve, first and foremost thank you for an absolute amazing week of learning at the SFS last week. It has really really opened my eyes to the ENDLESS possibilities of my business. I attend plenty of the seminars in the industry and this is bar none the BEST and most informative one I’ve been too. So thanks again. S.R.C Reconstruction & Disaster Restoration. 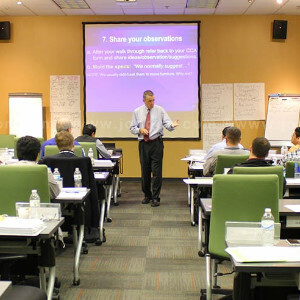 “Our company has spent thousands of dollars in meetings and traveling to different seminars all over the country. Never have I learned more applicable turn-key information or been treated like such a king. Thank you to all the staff at Jon-Don, Bill, Chuck, and Steve. You have certainly exceeded my expectations. Jim Stuckemeyer, Pro Kleen Services, Inc.
Marc Carpentier, Hexatrac Boston, Inc.
“Nick, Steve, Angela, Chris, Tina, Chuck and Bill all work above and beyond the call of duty to share incredible programs, ideas and procedures to make our companies successful. How could any business owner not learn enough to pay for this class ten times over? Thank you! Darcy Stanford, Stanford Cleaning and Rest. Glen Meichtry, Carpet Surgeon, Inc.
“Chuck was easy to listen to, funny, with great examples and was a good listener. Chuck was engaging, even in the area of finance where I generally zone out on! He made the concepts tangible for even a financial layman. Dawn Karels, Crown Flooring, Inc.
“And I must tell you…you will do one of two things…You will laugh/shrug off this post…or you will sign up for SFS. If you shrug it off like I did a year and a half ago…you will be writing the same post a couple of years from now because you will feel that stupid. Anyway…my words of advise to any of you this morning. If you can’t afford to go to SFS….I promise you, you can’t afford NOT to go…FIND A WAY. If you already have a free or half priced ticket…TAKE ADVANTAGE OF IT! 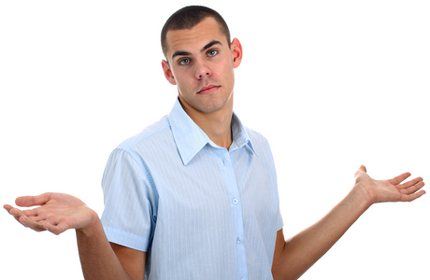 If you want to shrug it off today…I will guarantee you that you will want to write the same post after you get back. Carmen Gottfried, the Carpet Revival Centre, Ltd.
Jerry Berg, Interior Technicians, Inc.
Vaughn Rogers, Kleen Rite Cleaning and Rest. “I’ve been going to industry seminars since 1992 and this facility and all the logistics were in perfect tune- A+! I was blown away with the staff, the instructors, the food, the camaraderie, the generosity (especially the Wednesday Social Night) and most of all by Nick himself! Marleen Geyen, Geyen Group, Inc.
Stephen Merritt, Merritt Profession Carpet Clng. Natalie Merritt, Merritt Profession Carpet Clng. “I truly believe I have been given the blueprint to a successful business. Now it is up to me to take this information and put it to use. I thank everyone at Jon-Don for the SFS seminar and the continued support I know I will receive. My debt to Jon-Don will be re-paid by my continued support of your business through the growth of my business! 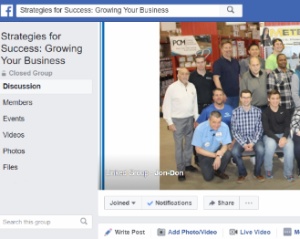 “Jon-Don’s staff does a superb job hosting this seminar. The Moments of Truth were too many to list. Jon-Don is too generous. It will be remembered when it counts! $$$! Michael Schmitt, Kleenrite Carpet Care, Inc.
Raymond Picerno, A-1 Assured Building Maint. Dimitri Whitehead, Green Magic Carpet Clng. “My husband, Martin, is a past attendee of SFS. We have been planning to attend together for some time. Over the last couple years I have read through his SFS books but being her for five days has brought it all to light. I loved it!